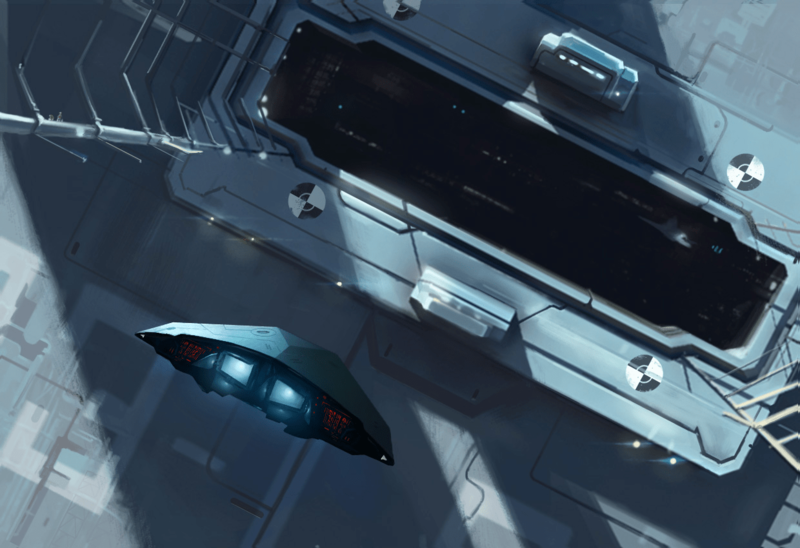 In this week’s Crowdfunding Spotlight, we’re putting the focus on the space trading and combat simulator Elite: Dangerous. 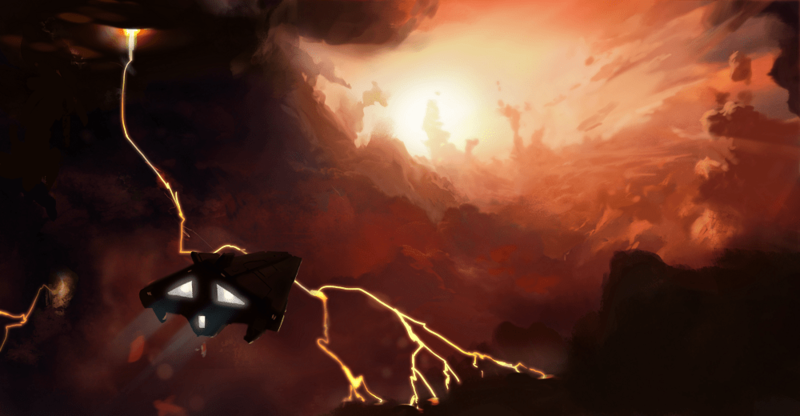 The game will be the fourth in the Elite series from David Braben and Frontier Developments, developers of games like Kinectimals, Rollercoaster Tycoon 3, the Thrillville series, and the critically acclaimed LostWinds games. If you’ve never heard of the Elite series, here’s quick history lesson. Elite was created by David Braben and his old design partner Ian Bell. The game was published in 1984 for the BBC Micro and Acorn Electron computers. It would also be ported to several other computers – including the Commodore 64 and Apple II – as well as the Nintendo Entertainment System. 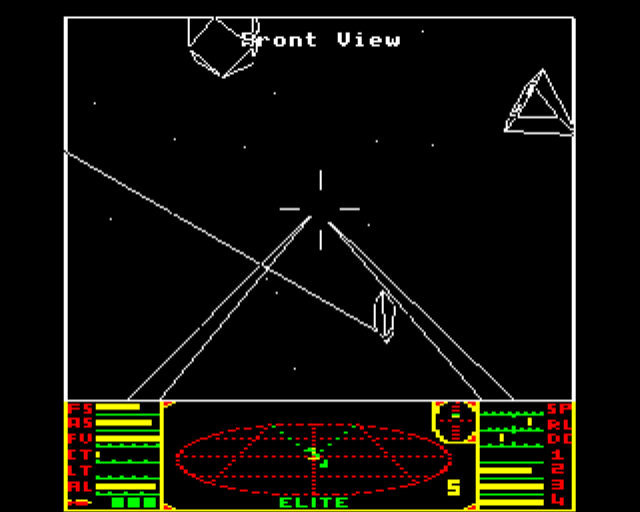 Elite is considered revolutionary for its time, using wire-frame 3D graphics with hidden line removal and an advanced game engine. 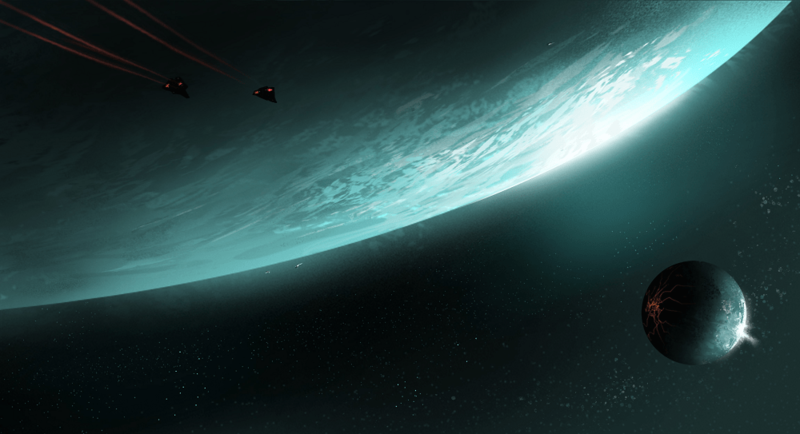 Planets were also procedurally generated in order to maximize the limited capabilities of early computers. Elite is considered one of the best games of the 80s and was influential for other games, such as Eve Online, Freelancer, and Wing Commander: Privateer. Two sequels were made: Frontier: Elite II in 1993 and Frontier: First Encounters in 1995. 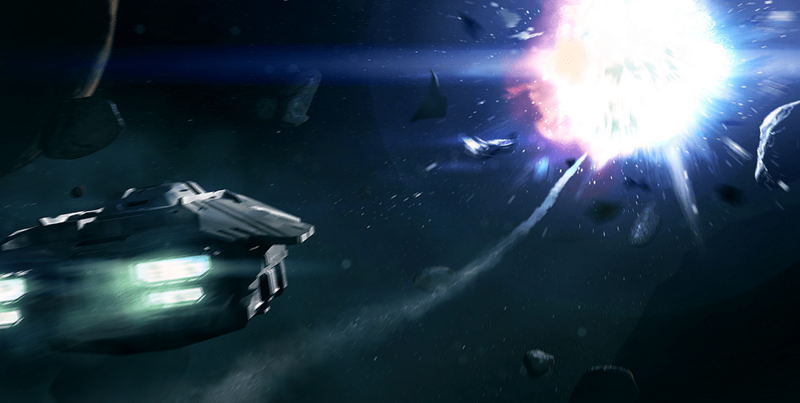 Both improved on Elite in terms of graphics as well as added planetary exploration and mining. However, both games were considered flawed and full of bugs – First Encounters was patched numerous times. A fourth game in the series was announced in 1998, tentatively titled Elite 4. However, according to a 2006 interview with GameSpot, development on the game was postponed until better technology for online play was available. So, after well over a decade, delay for technology to catch up with ideas and a name change, we finally are on the verge of the fourth game in the series, Elite: Dangerous. You’ll start with a ship, 100 credits, and the ability to make money most anyway you choose as you travel past the amazingly crafted galaxy. Reward tiers start at £5 with a decal for your ship. Reward tiers that include a copy of the game start at £30. You can also get a digital download for the novel Elite: The Dark Wheel (£35) and the Elite: Dangerous soundtrack (£45). Non-limited tiers will also include physical DRM-free copies of the game (basic copy starts at £60; collector’s edition at £90) and access to private Beta tests (first round at £100, second round at £50). UPDATE: An new tier has appeared in the last few hours. For £80, you can get the game plus all expansions. Special thanks to Keeval for catching that. Available limited tiers start at £40 with getting your name in the database of NPC names. 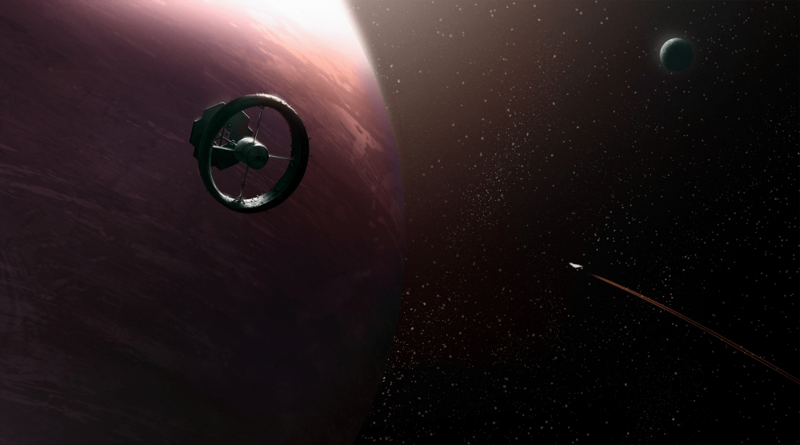 Other limited rewards include access to private Alpha tests (£200), have a space station (£500) or a planet (£750) named after you, and be able to write an Elite series novel (£4,500; more on this later). You can also receive rewards for pledge upgrades, such as a physical copy of The Dark Wheel sequel (£15), a physical copy of Elite: Dangerous music (£20), an Elite: Dangerous mug and T-Shirt (£50), and models of various ships from the game (starting at £400). 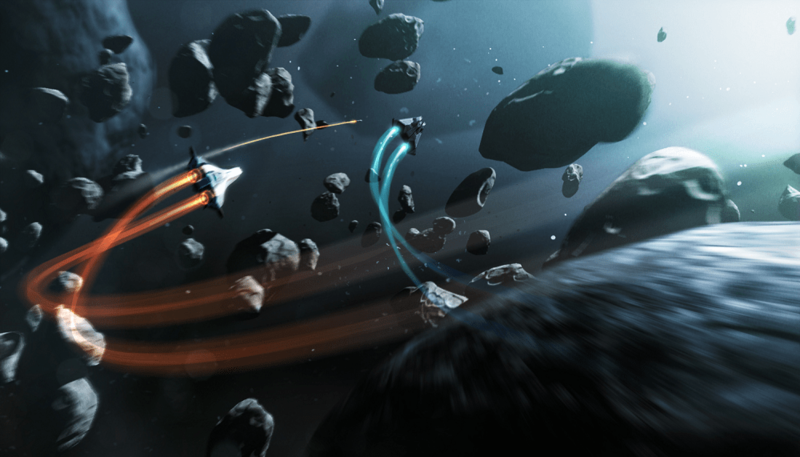 Currently, Elite: Dangerous has over £800,000 of its goal of £1,250,000 (roughly $2,034,000 USD). Donating towards the project ends on January 4th at 7:00 PM EST. If you have any issues with Amazon Payments, you can donate through PayPal. All non-limited reward tiers and pledge upgrades are available. However, you can only receive the limited reward tiers through Kickstarter. If funded, the game will release in March of 2014. Also, if you wish to support the Elite: Dangerous universe, there are numerous novels that are currently being funded through Kickstarter and Indiegogo – two of which have been funded. Those are Elite – Reclamation (Goal Reached), The Cost of Exploration (Funded), Elite: Dangerous – The Novel [working title] (In Progress), And Here the Wheel (In Progress), Elite: Dangerous – Out of the Darkness (In Progress), Elite Anthology: Tales from the Frontier (In Progress), and Survivor – An Elite: Dangerous Gamebook (In Progress). If any of these pique your interest, feel free to donate to them as well. Here’s a quick update on what else we’re covering. Sortasoft is closing in on 50% of their goal with two and a half weeks left for their campaign. In an effort to spread the word of Meriwether, they appeared on Kick-a-Thon, which was a series created by project leaders of Sword of Fargoal 2 – after being so ecstatic with reaching their goal, they decided to help other projects. You can check out their time on Kick-a-Thon by clicking here. Operation Rainfall gave us a glowing endorsement and jokingly [referred] to Meriwether as “Oregon Trail: [Expletive] Just Got Real.” We love it! We’re glad you loved it. And we hope you can make your goal. The sequel to the popular Barkley, Shut Up and Jam: Gaiden has amassed more than twice its initial goal, closing in on $90,000 with over a week left for funding. With the first batch of stretch goals reached – including a promise to wear pants while on the clock – Tales of Game’s has announced new goals. New goals include New Game Plus ($90,000), animated cutscenes ($120,000), and a Super Bowl commercial (no matter how out of reach it is at $1.2 million). Now, we’ve already said that all music and artwork will be new or used with permission. However, if Barkley 2 is able to reach $200,000 by the night of December 28th, they will try to legally obtain rights to use the Space Jam theme. This doesn’t necessarily guarantee they would get the right to use the theme – even ToG admits that refusal is a possibility – but it would give them the monetary backing to do so. As a reminder, if you have any issues with paying through Amazon Payments, you can donate toward Barkley 2 through PayPal. Reward tiers are the same; however you can only get the limited rewards donating through Kickstarter. We have a dedicated team working on bringing focus to games on crowd funding sites. However, if you feel that there is a game out there that we’re overlooking, don’t be afraid to let us know. Leave a comment below (no links, please) and our dedicated team will look it over. Next Post:From Oprainfall’s Youtube Channel: What’s in the Box?